Badass penguin mechanic painting tutorial. 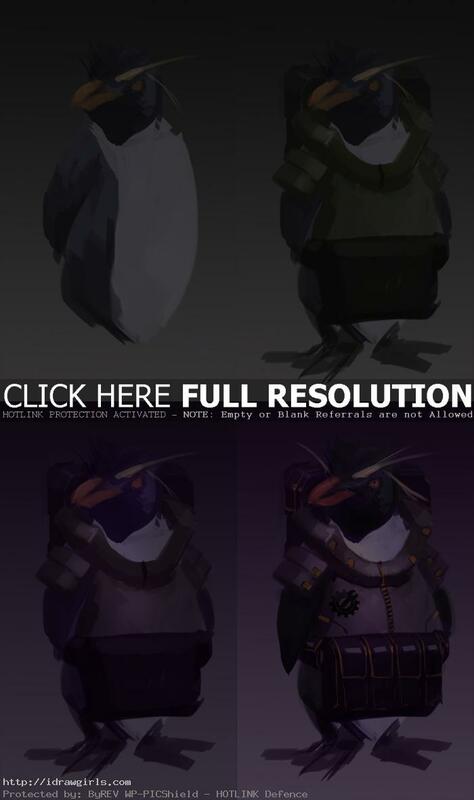 Here is one of my quick color concept or speedpainting, Badass penguin mechanic. This one is from the topic of my daily spitpaint group, “Badass penguin mechanic.” I spend about thirty minutes on this painting. 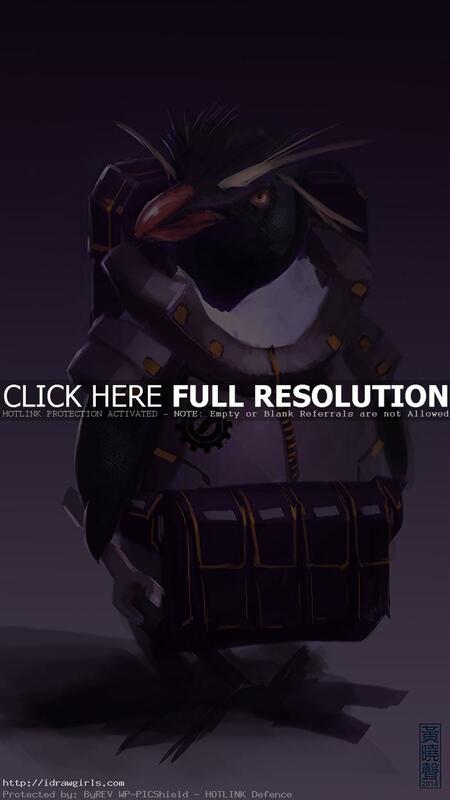 The idea came from an emperor penguin who is a badass mechanic. I try to push the the futuristic design on this one a bit. Below are step by step process.